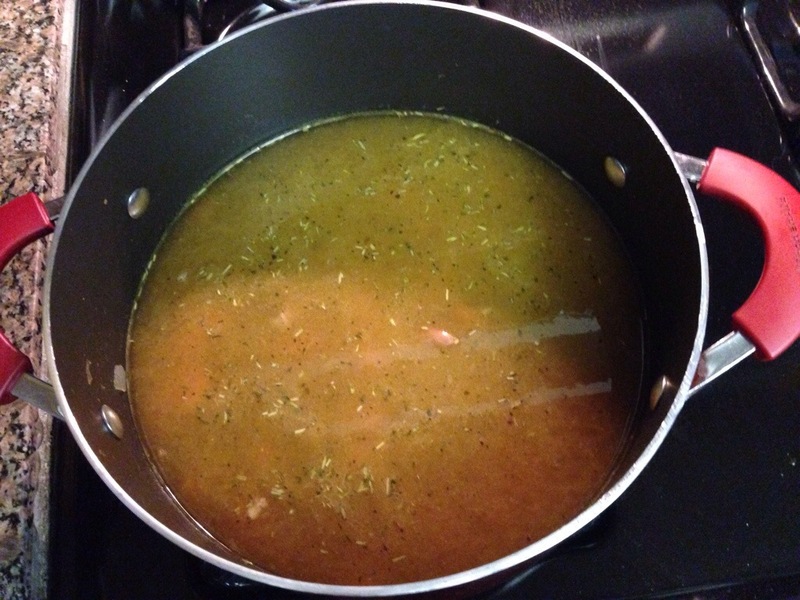 Super healthy Turkey, Bean and Veggie Soup – Trees & Flowers & Birds! Saute onion and carrots in a tbsp of olive oil in a large pot about 5 minutes. 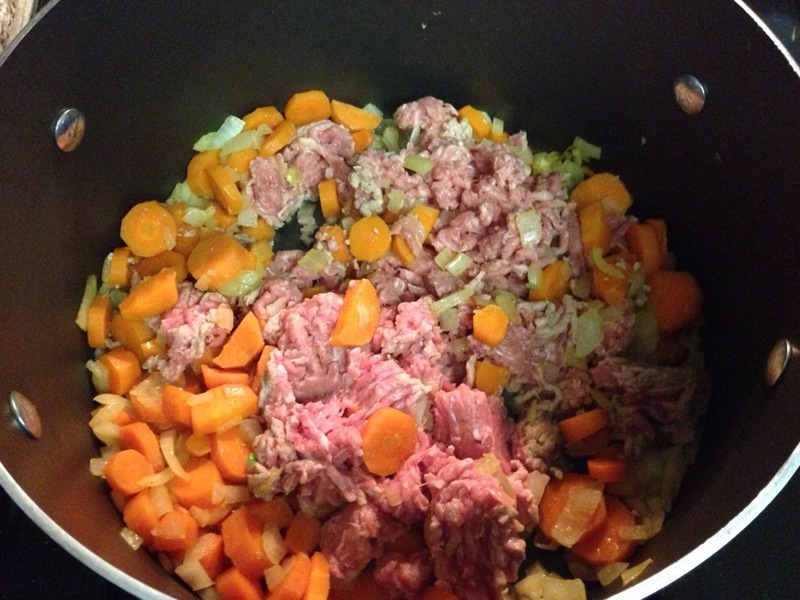 Add ground turkey and cook through until mostly white. Add all seasonings except salt & pepper and mix until combined. Add broth, water and beans and cover and allow to simmer for 10 minutes. 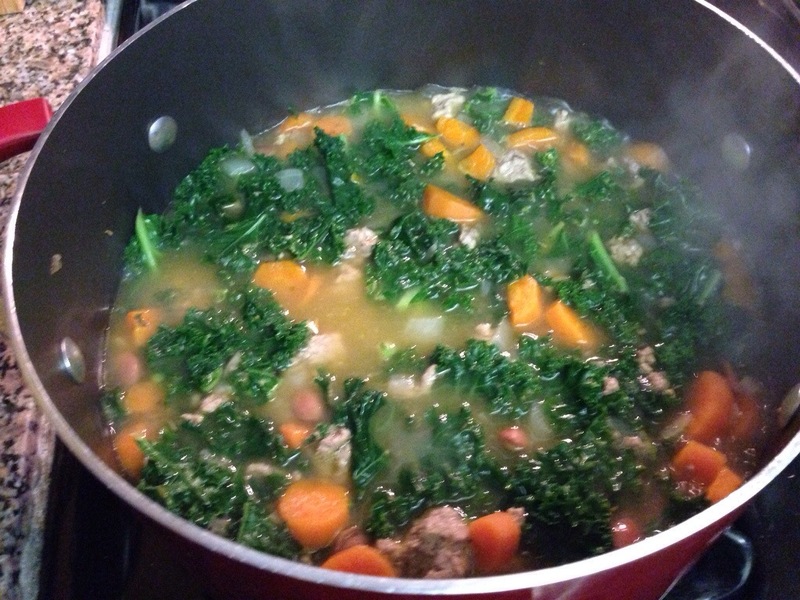 Add kale and simmer for another 10 minutes. Add salt & pepper if desired after tasting. Onion, carrots & turkey cooking. 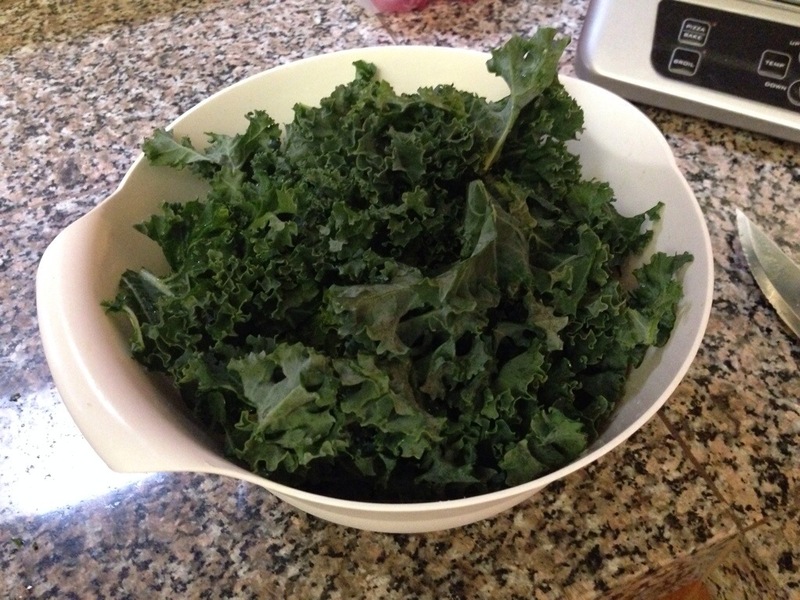 After 5 minute with the kale in the pot. Since I had grabbed the low sodium, organic broth I did end up adding salt & pepper rather generously. however, this being my first attempt at using kale I must say I was pleasantly surprised and how nice it tastes after cooking! Also, for a Monday night dinner, this was not a problem at all given how lazy I can be 🙂 Sure, there was some chopping but not too much and the fact that it all ended up in one pot to wash always makes me happy. The flavors blended quite nicely too. And? The teen liked it! Even with all those healthy, leafy greens! !